In the late fifties, when the three brothers (founder trustees) – Shri Chatrabhuj Narsee, Shri Pratap Narsee& Shri Dharamshi Narsee, felt that it was time to give a concrete shape to their long standing aspiration of perpetuating the sacred memory of their parents and of serving the community and the locality where they had grown and prospered. 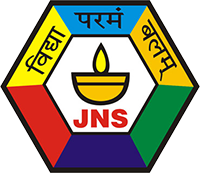 Thus 'Shri Narsee Monjee and Jamnabai Narsee Public Charitable Trust' was established in 1959. Shri Narsee Monjee had always stressed the importance of education and had in his own inimitable way supported the needy in this area. To continue this noble tradition, the founder trustee's established 'Narsee Monjee Educational Trust' in 1970 with specific thrust in the field of Education. As a matter of fact, though established at a later date, this Trust has now become the major trust carrying out its activities in the field of education. NarseeMonjee Educational Trust (NMET) - In 1971 Jamnabai Narsee School was established. The Education Trust always envsioned the setting up of more than one supreme educational institution. This dream turned into a reality in 2015, with the setting up of two more schools- namely JamnabaiNarsee School-GIFT City and Jamnabai Narsee International School, Mumbai. The child must learn to excel for his own sake. Self-study must be an integral feature of the child’s education. A teacher must be an eternal learner – therefore in-service training is of primary importance. In all aspects of school management and administration, extravagance must be curtailed and values of thrift encouraged. In order to achieve excellence, the student must be health-conscious and work towards physical fitness. Play is as important as academic work – maximum use must be made of the school playground and play areas within the compound. The institution is more important than the individual. A torch cannot be lit without a flame. The teacher, like a flame, has to enlighten her ward. Education is a blend of ‘ahara’ (right food), ‘vihara’ (right attitude), ‘achara’ (right behaviour) and ‘vichara’ (right thought). Learning must be a joyful experience. All the three brothers – Shri Chatrabhuj Narsee, Shri Pratap Narsee and Shri Dharamshi Narsee joined the family business in quick succession in the years 1941, 1944 and 1946- immediately after their school education-due to the untimely death of their father in 1944. In the ensuing decades, they took the family business to new heights of prosperity due to their qualities of hard work, dedication, integrity, assertiveness, magnanimity and being appreciative of God's blessings; their immense contribution towards the society by setting up various educational institutions and making donations to hospitals and innumerable organizations will be remembered by the generations to come. Major credit for the development of Juhu Vile Parle Development Scheme and Vile Parle as an educational hub - thus resulting in a flourishing residential area, can be associated with their vision and untiring effort throughout their lifetime.